Hi, I’m Maria and I’m a Real Food Evangelist. I help busy women lose weight or clear up their acne by developing healthier eating habits, based on whole, unprocessed, mostly plant-based foods. 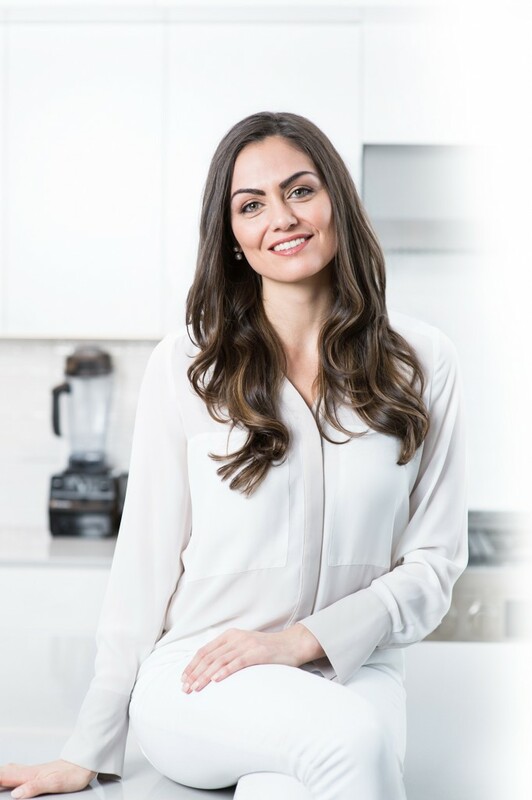 Since I established a private Integrative Nutrition Health Coaching practice in NYC in 2013, I have worked with hundreds of career women, moms, working moms, and even a number of celebs and top executives. Over the years, I developed a protocol for painlessly breaking unhealthy habits-eating too much sugar, late night eating, endless snacking, body bashing-with healthy habits, like craving vegetables, making better food choices, and even honoring, respecting, and loving your body. (Yes, it’s all possible). As clients saw results, they told their friends, and my business grew. I soon turned the protocol into a 3-month group class, and continued to witness many incredible transformations. However, I realized a number of the women were exhausted at the end of the day, and didn’t want to think about what to eat. They also didn’t want to spend hours in the kitchen, were too busy to meal plan, and needed an easy way to put what they were learning into action. So, I created 3 meal plans and digital programs, each tailored to a different concern (weight-loss, clearing up acne, and eating healthy), with weekly shopping lists and recipes. My clients loved them because it made eating healthy so easy, and now I focus on sharing these 3 incredible meal plans and programs. I love inspiring audiences to improve their health, and have both hosted my own events, and have delivered a number of speeches and cooking demos for a range of clients, conferences, corporate wellness programs, and events, including The Seed Festival, Williams Sonoma, Physique 57, Net-a-porter.com, Paradigm Entertainment, Pure Barre, and many more. My first book, The Real Food Grocery Guide, was published June 2017, and was a #1 new release on Amazon for 4 weeks, and received praise from InStyle, Dr Oz The Good Life Magazine, Well + Good, and more. I hope to inspire you to draw the connection between what you eat and how you look and feel, and of course, to help you fall in love with Real Food so that you can reap the benefits of better health. Maria has been featured in various media outlets including: Vogue, Self, FOX, NBC, The New York Times and more. 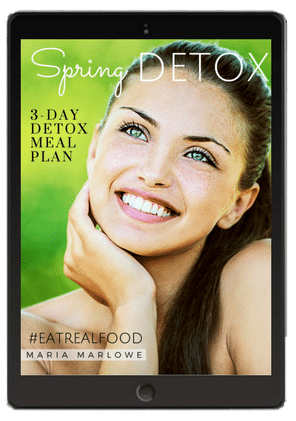 Maria contributes to various sites, including the Huffington Post, Shape, Fitness Magazine, Thrive Global, Davidwolfe.com, and more. In this free 3-day Real Food Meal Plan, you’ll find easy, delicious recipes that will give you the kickstart to create healthy eating habits that stick.